Former US Diplomat Appointed UN Political Chief - Integration Through Media ....! (VOA): The U.N. secretary-general on Wednesday appointed a former U.S. career diplomat to be the organization's political chief. Antonio Guterres named Rosemary DiCarlo as undersecretary-general for political affairs. She is the first woman to hold the position. Since August 2015, DiCarlo has been president of the National Committee on American Foreign Policy and a senior fellow at Yale University. Prior to that, she served as the U.S. deputy ambassador to the U.N. from 2010 to 2015. During her State Department career, she was also posted to U.S. embassies in Moscow and Oslo. DiCarlo is widely respected, and the announcement of her appointment was immediately welcomed by other diplomats on social media. 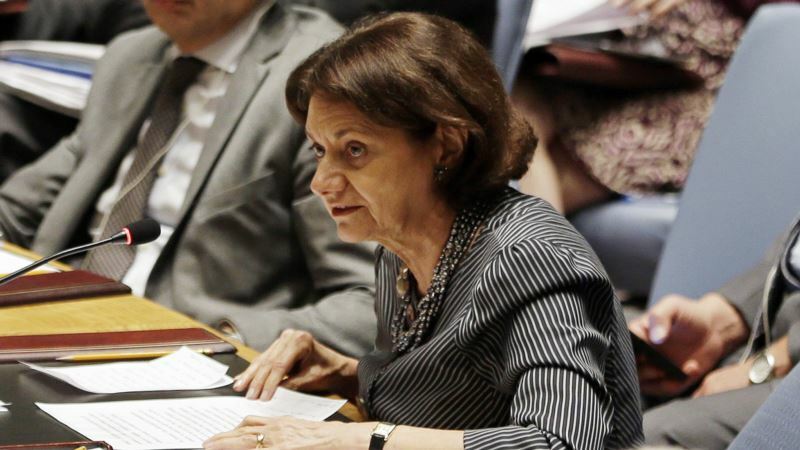 France's ambassador to Washington, Gerard Araud, who served previously as U.N. ambassador during DiCarlo's U.N. tenure, expressed his congratulations and added that she was "a great diplomat." "Best wishes to experienced diplomat," wrote the European Union's U.N. envoy, Joao Vale de Almeida. "Can count on my personal and @EUatUN's full support." DiCarlo succeeds another American, former State Department official Jeffrey Feltman, who was appointed under Ban Ki-moon in July 2012 and will depart the U.N. this week. "The secretary-general is deeply grateful for Mr. Feltman's dedicated, inspirational leadership of the Department of Political Affairs and his diplomatic skills in exercising the good offices of the secretary-general to defuse crises and identify just and durable political solutions around the world," Guterres' office said in a statement. In December, Feltman undertook a visit to North Korea, in what he called at the time "the most important mission" of his career. He was the most senior U.N. official to visit the country since 2011. His meeting with senior North Korean officials came at a time of rising tensions on the peninsula. Many U.N. diplomats credit his trip as the first step toward the de-escalation that has opened the door to a possible summit between Kim Jong Un and President Donald Trump.